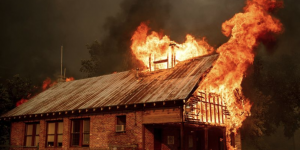 The Carr Fire, one of 17 fires currently burning across California, is only 20% contained. 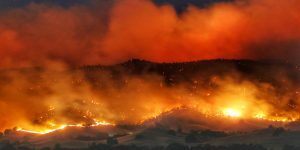 Extreme weather conditions and dry land from five years of drought have contributed to the fast-moving blaze. 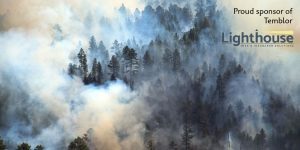 The 416 Fire in southwestern Colorado is the 416th incident the Columbine Ranger District has responded to in the San Juan National Forest this year. 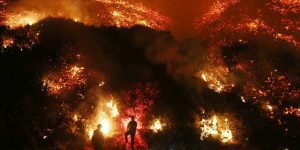 Just this week, a California report came out showing the startling effect of climate change on wildfire, and Gov. 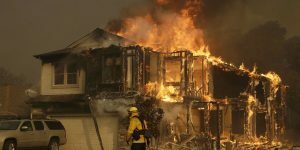 Jerry Brown issued an executive order to combat wildfires, and allocated an additional $96 million for fire protection and risk reduction. 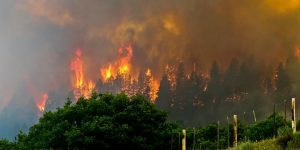 May marks the unofficial start of fire season in the Western U.S.
2017 Santa Rosa Fire: How good were state fire maps in forecasting its start and spread? A look at the fire threat, suppression difficulty, and fire effects around the area impacted by the Tubbs Fire, California’s most destructive fire ever. In the 2017 fiscal year, over $2.4 billion was spent on fire suppression, $800 million more than was allocated. 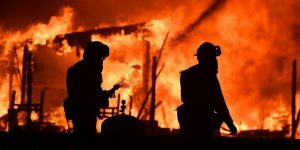 Nearly 200,000 people have been forced to evacuate due to fires in the greater Los Angeles area.